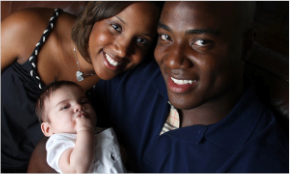 Hope for Families specializes in domestic adoption home study preparation for Florida families and is one of the largest home study providers in Florida. The first step in adoption is to complete a State mandated home study, which is an 8-10 page clinical report on you and your home that functionally provides a license for you to adopt. We have a double license as an adoption agency and as a clinical Marriage and Family Therapist state credentialed for home studies so you can use our home study for domestic adoptions all over the United States.. It would be our honor to assist you with this needed clinical adoption home study report so that you can start an adoption in the US. Sorry but only Florida Married Couples who have been legally married for at least 4 years can adopt or have a home study completed through Hope For Families, and you must be full time legal residents of Florida, who are 60 years or younger, or 21 years or older. No more than two previous divorces are acceptable and parents must not have a major criminal record although we will review every situation. Applicants must not have a major life threatening medical illness or severe mental health diagnoses at the time of the application. Household income must be approximately $40,000 or more and at least one of the adoptive parents must be a U.S. Citizen. Our Adoption Home Study fee for a Florida domestic home study is only $1,300 which is far below most agencies' price of $1,800 or more. In order to help reduce the cost of adoptions, we only charge $.50 per mile each way we travel and do not charge for time of travel. There is a list of key documents and other items wWe generally can make an appointment for a home study within 7 days by mutual convenience and our agency is widely recognized for featuring the quickest service. We travel throughout Florida and our service is professional, compassionate, affordable, and FAST! We make every effort to try to make the home study process an enjoyable experience rather than a stressful ordeal so that you can focus on the joy of adopting your child. e need to complete the home study and they can be found HERE. Our usual turnaround time for a home study is 3 week weeks or less which is much more efficient than the average 3 month response time for other agencies. This timetable of course is dependent on the adoptive parents’ submission of the background check clearances, fully completing home study questionnaire and sending us ALL of the necessary documents as per the list on the home study checklist page. Once your FBI, Florida Law Enforcement (FDLE), Department of Children & Family (DCF), and local law enforcement background checks are cleared and we have all of the required forms, we commit to forwarding you a copy of the notarized 7-9 page Home Study report within 7 days. And even faster service is available at a slightly additional fee in urgent situations. Click HERE to contact us for fees and an explanation of services. Click HERE for the Hope For Families Home Study Website.